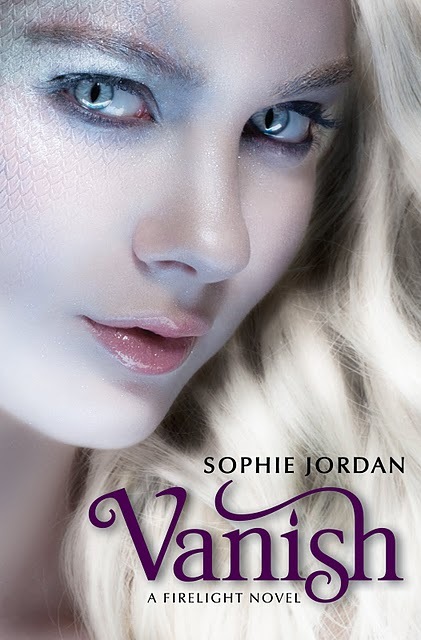 Lonestar Sophie Jordan has a cover for her upcoming sequel to Firelight! Personally, I love the cover. It is a great companion to Firelight. Rumor has it that this is the same model as the last cover. She looks smoldering, seductive, smokey.... All things S.
Sophie let me know that ARCs of Vanish will be available at the Texas Library Association in April! If I snag two, I'll bring one back for a giveaway. Can't wait to read!